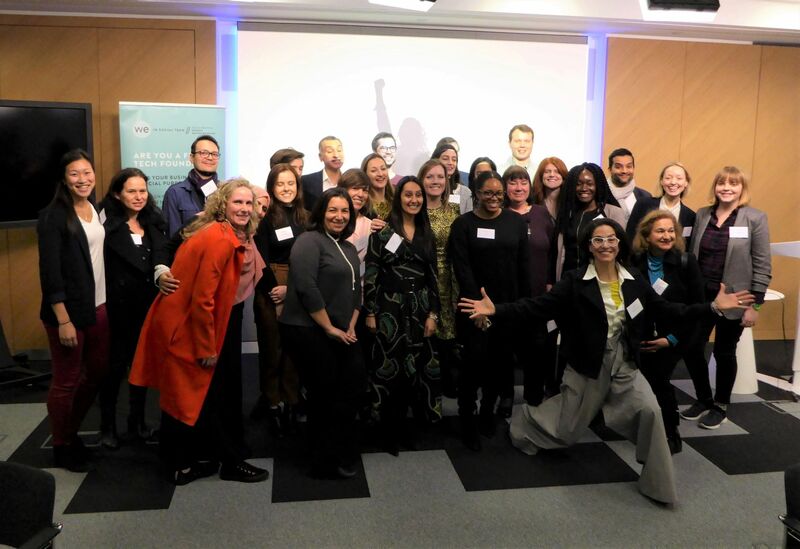 Following the successful launch of the We in Social Tech accelerator in October 2018, and of the first call for applicants which ran consecutively until November last year, 20 outstanding businesses have been selected to join this unique accelerator programme, designed to support 60 female founders to start, grow or scale their tech-for-good businesses between 2019-2020. The first cohort of 20 women-led social tech businesses joined the programme in January and are incubated at Wood Green Works until July 2019. Their personalised support programme for growth includes mentoring, training and consultancy, as well as investment and finance readiness, to meet the needs of their businesses. InChorus – shines a light on bias and harassment to grow inclusive organisations. IQ – transforming the lives of every person touched by Dementia, through a Web- app coaching platform helps those involved with the care pathway to understand and lead a better life. RoomForTea – a shared living network enabling anyone to turn a property into a co-living space, on a flexible basis. The Power of Hebe – combining the healing power of laughter and the wonder of technology, building a more socially confident, mentally healthy, connected society. The Communality – a social platform for cancer patients to give and receive peer support. VR:Calm – empowering and uplifting people with dementia through Virtual Reality. Zeez Sleep Pebble – an under the pillow device designed to help us to fall asleep, stay asleep, and wake refreshed. The application portal for We in Social Tech Cohort 2 will open on 15 April and close on 19 May 2019. If you would like the opportunity to join the next Accelerator, subscribe to the We in Social Tech mailing list for updates. For enquiries email weinsocialtech@nwes.org.uk.